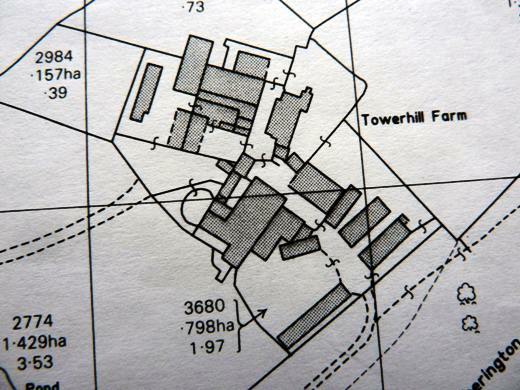 Tower Hill, now usually known as Tytherington Hill, wasnamed in a document of 1592, and derives from the OE torr, meaning rock. The hill is hard limestone. 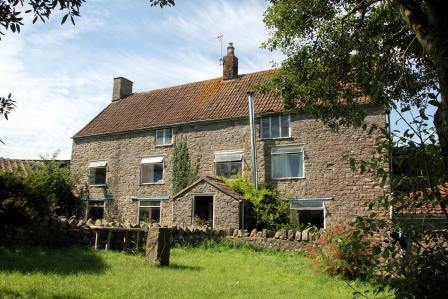 The origin of the farmhouse is uncertain; it may date from the 17th century after the enclosure of the open field named Upfield. Lord Willoughby de Broke owned much of the parish until 1728, when he sold most of his Tytherington properties to Peter Hardwicke, retaining those in Itchington. Tower Hill Farm, exceptionally, did not pass into Hardwicke hands, and by 1780 was owned by a Mrs Goodwin, perhaps a nominee. For when the de Broke properties in Itchington were sold in 1828, John Salmon bought many, and by 1832 owned Tower Hill also. The Salmons had Thornbury connections; the properties may have been bought primarily as investments, for Tower Hill was owned by the Hardwickes by 1839, and the Itchington farms were sold by Salmon in 1843. The Hardwicke family held Tower Hill for almost a hundred years, until 1936 when their estate was sold, the farm, of 65 acres, selling for £1000. In 1981, it was bought by the sitting tenant Ernest Matthews. Mid-1600's to mid-1700's: Jonathan Pullin (Church Warden 1688, d ?1720), William, his son, yeoman, c.1652-1729. (Memorial in church), and William, his son, yeoman, 1701-1759. By 1784, until after 1825: James Terrell, c.1742-1833. Salmon, the house perhaps let, with part occupied by James Terrell's unmarried daughter. 1839: Jeremiah Russell (died 1848). 1867: Thomas Smith (died 1884). 1879-1884: Thomas Edward Harding (yeoman, from Codrington). 1884: John Smith, until after 1910. `The Wood' (in 1832) is presumably the northern half of the wooded slope of Tytherington Hill. It may have been retained for the profit from the limekiln at its foot; the kiln and quarry was sold at auction in 1843 and were 'occupied' by John Smith. Subsequent tenants (with dates taken from Kelly's Directories) were:-1914 James (Jimmy') Taylor, 1919 Miss Mary Andrews, 1927¬c.1935 Henry Thomas Andrews, then William A Matthews (died 1986) and Ernest A Matthews. Two tenancy agreements, of 1869 and 1879, survive. 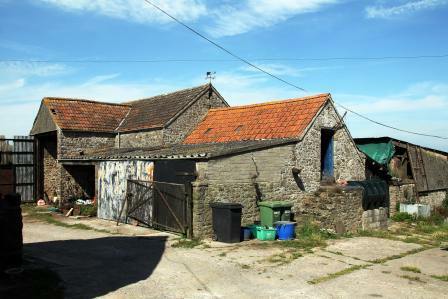 They list the fields comprising the farm, the rent, and the tenancy arrangements. The rent was £188 p.a. 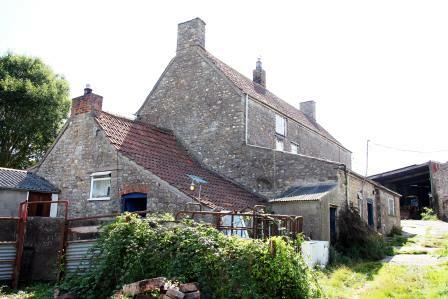 for 124 acres, with £12 p.a. for another block of 91/2 acres.